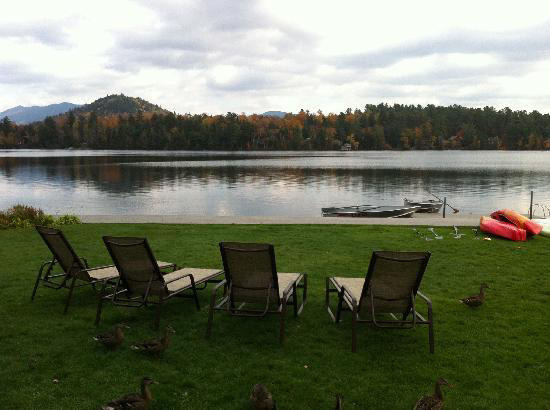 More and more people are building year-round or second homes on Upper Saranac Lake. 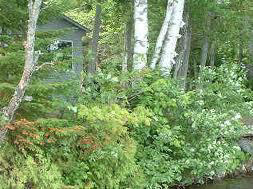 They often bring their idea of a conventional yard with them, leading to a grass lawn down to the lake shore. Decrease in waterfront property values due to increased weed and algae presence. Maintain a lake front vegetative buffer. A vegetative buffer, or buffer zone, is a strip of natural vegetation along the shoreline of a lake or waterbody. Ideally, the vegetation should cover at least 50 – 75% of the property’s lake frontage. By restoring the shoreline with native plants, you restore the ecological functions of the lake shore. Savings in time and money for maintenance.